About this time every year I start thinking about new or existing open water fishing techniques that I want to learn more about. One of the real keys to fishing success is being versatile. There are lots of ways to catch fish. Some techniques are kind of seasonal, others work better for bigger fish, and some are more productive when the fish are real finicky or real active. The long and short of it is, the anglers who usually catch the most big fish are versatile anglers. And, the anglers who catch the most fish are also usually versatile anglers. If you want to be more versatile, you need to learn more fishing techniques, or expand on the ones you’re already comfortable with. Following are some fishing techniques that I would like to learn more about this open water fishing season. We’ve been using plastic baits more and more in the past few years. When the walleyes or largemouth bass are on the weedline, it’s hard to beat an Impulse Ringworm for the bass or an Impulse Paddle Shad for walleyes. Rig them on an eighth ounce jighead and start fishing. You’re going to get bit. However, in the past couple of years, we’ve been rigging our jigheads with other shapes of plastic with good success. For instance, the Impulse Dip-Stick worm was designed with Wacky Rigging in mind, and it’s outstanding for that technique. But it also works really well on a jig head. The Jerk Minnow and Smelt Minnow were designed for jigs or worm hooks, but we’ve been using both on drop-shot rigs with very good results. Use a little or a lot of imagination with the baits you use and sometimes you’ll come upon something that really does a good job. We’re also fishing plastics on spinner rigs for walleyes a lot more. Nightcrawlers on spinners have been the way to go for walleyes for years, but plastic crawlers are becoming a very good alternative to the live ones. One of the problems with live crawlers on spinner rigs in some waters is that small fish are constantly nipping at the crawler, and that ruins the crawler. The small fish nip at the plastic crawler also, but the plastic crawler is much more durable, so it’s fishing more effectively for you. We’ve been experimenting with planer boards a lot more. Boards offer so many advantages to an angler. They enable us to get more lines in the water more effectively, they get the bait out away from the boat which gets more bites from spooky fish, and they enable us to experiment with more baits: More lines in the water means more bait options. However, when we think boards, we think mostly walleyes and trout. But we’ve been using boards to increase our catches with crappies and perch recently. We use boards for crappies and perch for the same reasons we use them for walleyes. Spooking is reduced and lure options are increased. Off Shore planer boards come in different sizes for different fish, they’re easy to use, and they run better than any others that I’ve used. I’m planning on doing a lot more board experiments this year. Fishing is fun, and it’s even more fun when you catch some. Become a more versatile angler and you’ll catch more and bigger fish, and you’ll enjoy your fishing even more. Photo Credit: The author caught this eater walleye on a jig with a plastic tail. 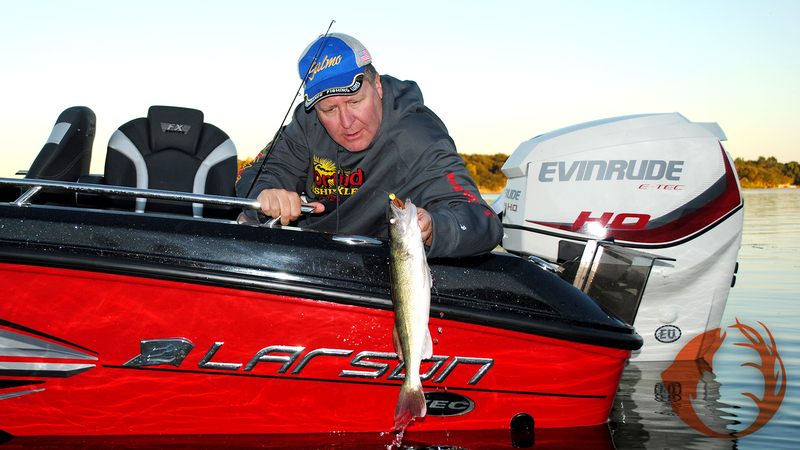 Plastics are catching more and more walleyes by more and more anglers.